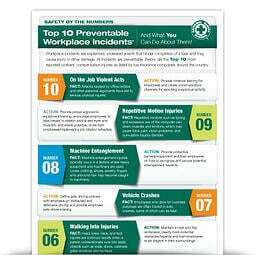 What is your risk for workplace safety incidents? Every year, safety incidents in the workplace cause employee injuries, resulting in unnecessary pain, suffering and time off work. All of these incidents are preventable.